Nursing pad is what I've always wanted to have the day I started breastfeeding. It helps from the leakage whenever my breasts are full and accidents do happen, especially when you are not in the right time to feed or pump that milk out. I received the product in the mail through the USPS. It was shipped in the bubble wrap envelope no signs of damage in shipment. When I look at the pictures of the nursing pad online, I have a hint that it might be bigger than I thought, and I was right. I have another kind of nursing pad, but that one was small that only 1/4 portion of my breast protects and also leaks whenever the milk supply is fast. This super soft bamboo nursing pads of My Baby bee are just what I'm looking for. I am happy and satisfied with the kind of materials it is made of. 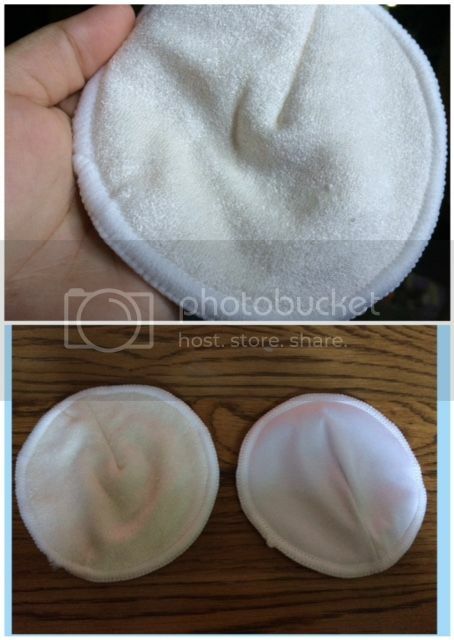 It has a Best Quality; and it is made from bamboo cloth, which is highly absorbent and hypoallergenic. Words best beautiful mothers. I like the one size fits because no matter how big or small your breast it works and covers as well as water resistance. It is very soft, very easy to wash and I do feel more comfortable on this nursing pad than the old brand I have. I can totally see and feel the difference. Truly, I will only trust this one from now on. Willing to give it a shot? You can purchase the product HERE. Good job on finding the perfect nursing pads! I never got to use pads when I was breastfeeding. bamboo cloth? was it made from bamboo fiber? I used those nursing pads and they are highly recommended. It really helps with leakage for sure! And I also remember using lanolin cream and it helps soothe our sore bits while wearing the nursing pads. I remember using nursing pads when I was still breastfeeding. I don't miss to engorged breasts but I miss the bonding . Moms should get all the help they can get, especially after giving birth. Good to hear these nursing pads make you feel more comfortable.